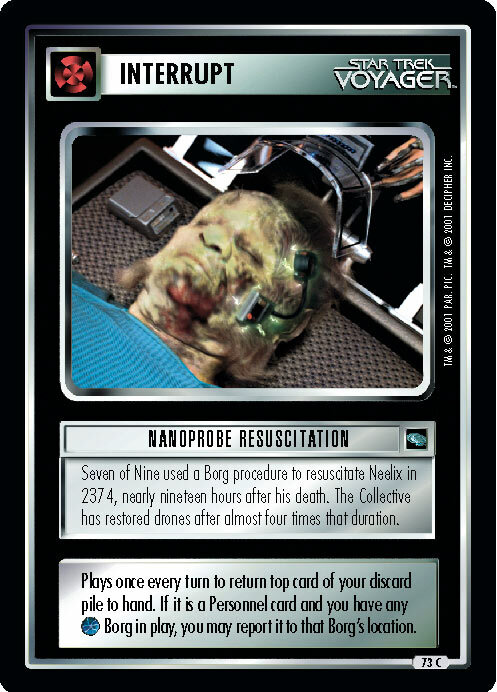 Seven of Nine used a Borg procedure to resuscitate Neelix in 2374, nearly nineteen hours after his death. The Collective has restored drones after almost four times that duration. 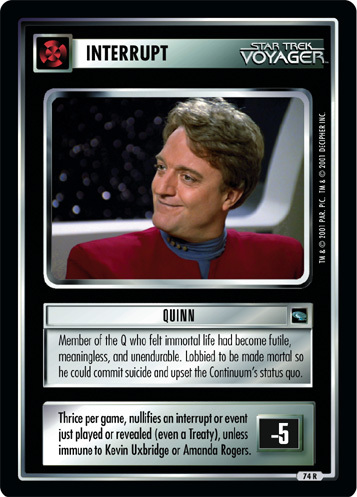 Plays once every turn to return top card of your discard pile to hand. 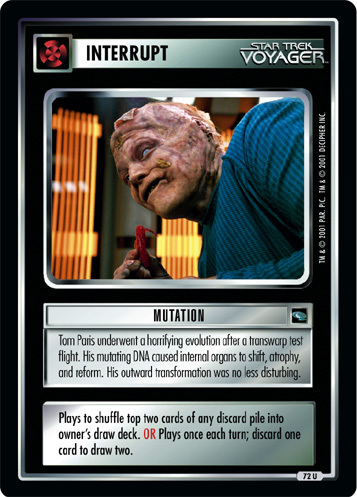 If it is a Personnel card and you have any Borg in play, you may report it to that Borg's location. Image Source: Voyager: "Mortal Coil"